"Hi Bill! I was wondering if you could give me more information about the current fire in Durango and its impact on the trail?" "Great! What can you share?" "It's closed. The trail is closed. San Juan National Forest...closed. Segments 24-28...closed. And, I would recommend not attempting sections 21-23 unless you want to develop lung cancer caused by hiking through dense smoke." "Wow...okay...well thank you for the information." This conversation felt all too familiar. As I hung up the phone I was transported back onto the Pacific Crest Trail as fires sparked up throughout the Pacific Northwest, closing the trail in much of Oregon and Washington. Here we go again. My "Type A" personality started to work through all the possible logistical questions and answers. Would I be able to follow through with my plan? Are there any alternate routes if the fire persists? 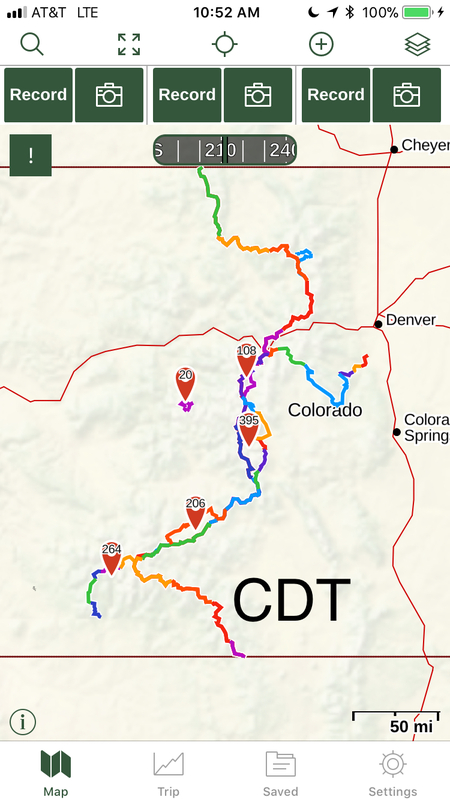 Should I scrap Colorado and quickly put together another thru-hike? No. Plans change, weather happens, and nature ultimately rules. So, I'll do what I knew I would do all along, keep on keeping on. After going through the appropriate cycle of emotions - from disbelief to worry to sadness to disappointment - I got to work adjusting my attitude, my perspective and my plan of action. I spent the next day with my eyes glued to a computer screen staring at maps, and familiarizing myself with the geography of southwest Colorado. Know your exit points, know your alternates, and have a back up plan. These are all lessons I learned from the PCT. I've already boxed up a month of resupply, secured a cat sitter for my fur babies, and physically and emotionally prepared myself to hike the Colorado Trail. Quitting before beginning is not an option. I'm in the final stages of packing, the part of the process where I start to unpack everything I packed and doubt the systems that I know I can trust. Sometimes the hardest part of traveling is just getting myself out the door. I checked the current conditions in Colorado, the good news? The San Juan National Forest is now open! The bad news? The Colorado Trail is still closed from Molas Pass to Durango, the final section. Overall, this is optimistic news. Hopefully conditions continue to improve and the trail opens all the way before I reach the south west end. But who knows what will happen. As I've said before, I will remain open to plans changing, and to letting go of the idea that I am in complete control of how the story unfolds.